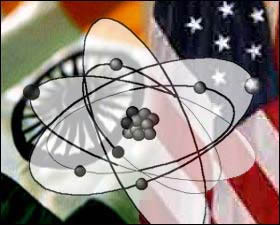 Delhi,12 July :Ahead of the trust vote in Lok Sabha on Indo-US nuclear deal issue on 22nd July, the Congress party has decided to take the message across the country that the deal is "good and is beneficial for India". Speaking to reporters after a hurriedly called meeting of the Congress General Secretaries, party media department chief M Veerappa Moily said, "the Congress president has asked us to inform the people that the deal is good for the country". Immediately after the meeting of the general secretaries, another meeting of the Publicity Committee was held to decide the strategy on how the deal would be projected before the people and how potent it is as an electoral issue. Moily said, "we have been given the task to convey the message about the importance of the nuclear deal and how important it is for the energy security of the country". He repeated that the deal was in national interest and for the betterment of the nation. With the survival of the government depending on the trust vote in the Lok Sabha following the Left withdrawal of support, the party is still wondering why some political parties are opposed to the deal.